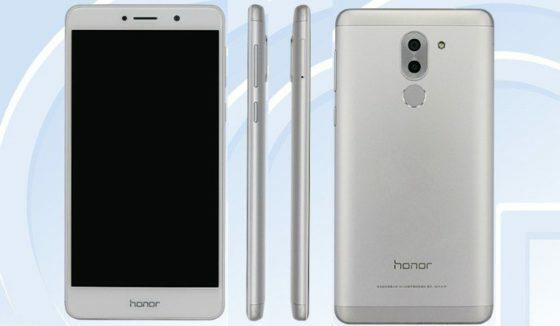 Huawei – Honor brands offers the dual camera smartphone the Huawei Honor 6X in affordable price. The smartphone comes with high end features and specs and impressive design. The smartphone features a 5.5 inch IPS LCD capacitive touch screen with the resolution of 1080 × 1920 pixels. The device runs the old version of OS Android 6.0 Marshmallow, well Honor planed to upgrade the OS to Android Nougat very soon. The phone is powered by company’s own HiSilicon Kirin 655 and coupled with Mali T830 MP2 graphics processor. The device comes with two storage variants: the 3GB of RAM plus 32GB of internal storage and the 4GB of RAM with 64GB of internal space. There is two SIM card slot, one is used as for MicroSD card for the expansion of storage up to 256GB. The phone comes with dual camera setup 12 megapixel plus 2 megapixel sensor on the rear with phase detection autofocus and LED flash. There is also an 8 megapixel front facing camera for selfies shooter. The phone boasts a 3,340mAh non-removable battery. The device measures 150.90 ×72.60 × 8.20 (height × width × thickness) and weighs just 162.00 grams.